Karma Waters is a family owned and managed business by Paul and Duyen. All employees & owners are vegans who aim to provide and promote a healthy organic vegan lifestyle. Why Karma Waters is special ? 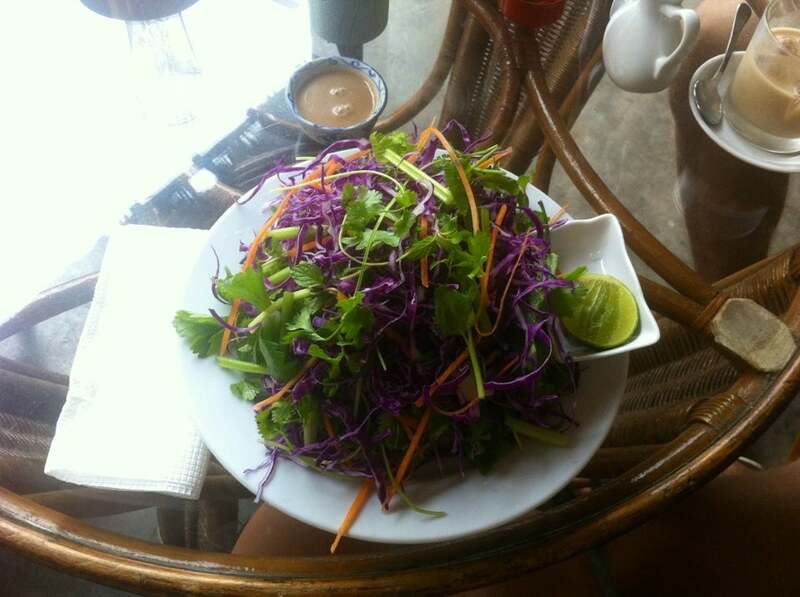 Karma Waters is one of rare vegetarian restaurants in Hoi An with only pure vegetarian menu. The restaurant is a family Founded & managed business in Hoi An & Danang, Vietnam since 2005. They operate Vegan Restaurants and Tours as a "commercially viable not-for-profit cooperative" with their mission is to grow veganism through cooperative structure and sustainable community development. The Founders and most of our employees are personnaly committed to a healthy organic vegan lifestyle and to provide and promote a healthy organic vegan for everyone. The food offered here is very healthy and tasty because of making from vegetables and fruits. Decoration of the place is not quite attractive, but all are clean and welcoming as well. How to get to Karma Waters? From the center of Hoi An Town, go head east on Tran Hung Dao then continue onto Cua Dai to reach the restaurant. As all the food is cooked to order, they can change the dishes slightly to suit your taste. You can also take cooking classes at the restaurant. The restaurant is owned by a company that also runs eco tours, and you can find details of these at the restaurant or at their website. They don’t use MSG or sugar, and serve brown rice. They don’t serve alcohol, and no smoking is allowed in the restaurant. I have been traveling in Vietnam for almost two weeks and am becoming slightly tired of eating the same vegetarian Vietnamese options (rice or noodles with vegetables). This restaurant was a great find for lunch, as my boyfriend and I really craved another cuisine (but not western i.e fries). We ordered the vegetarian Indian Thali and were not disappointed. It was 150,000 VND and consisted of 3 small bowls of curry, 2 rotis, red rice, salad and a delicious peanut/mint chutney. It was perfect for 2 to share at lunch and had a really subtle and fresh taste. We watched the chefs make everything from fresh and throughly enjoyed the experience on a quiet road away from the main stretch. My boyfriend also tried the cold Vietnamese coffee with soya milk, which was extremely tasty. Overall simple and tasty food, which makes a nice change from the standard Vegetarian options available in Vietnam (they do also serve a few western dishes, Vietnamese dishes like Pho / Baguettes and South Indian dishes). Returned here for a second meal because it is just so perfect. We done. Hope everyone else enjoys it as much as we have. BBQ sandwich is to die for.